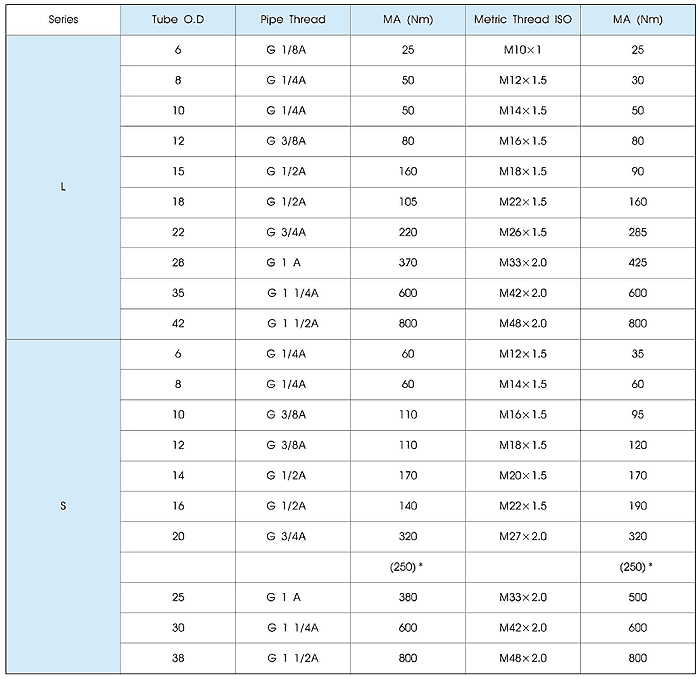 this standard specifies dimensions for stud ends and tapped holes with metric fine pitch thread and pipe thread for use with compression fittings, valves and screw plugs, general outlay of types. Form X (DIN 3852 Part 1+2) for parallel Stud Ends (Form A.B) *d7 is for Stud Ends Form E Form W (DIN 3852 Part 3) for stud Ends with O-Ring. 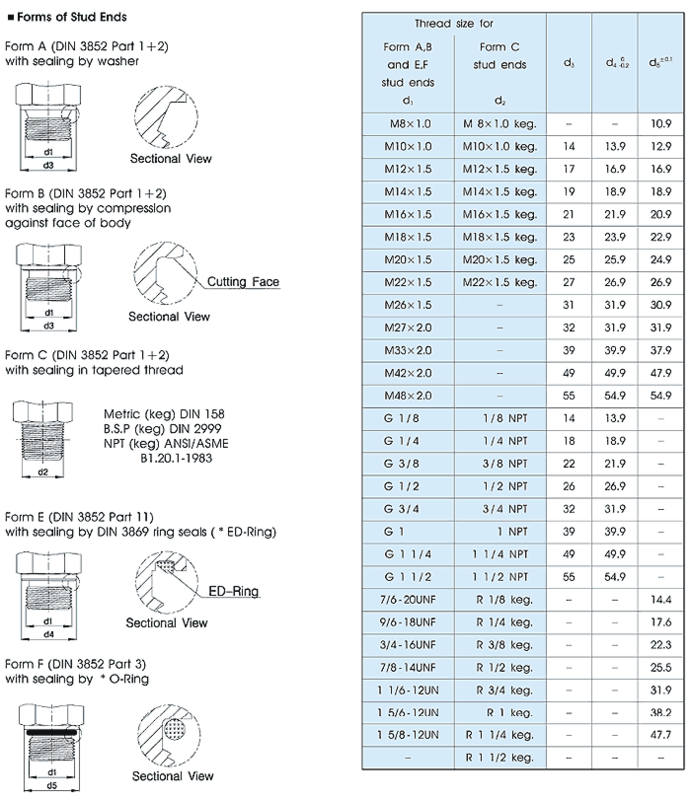 (Forms F) Form Z (DIN 3852 Part 1+2) for tapered thread Stud Ends. 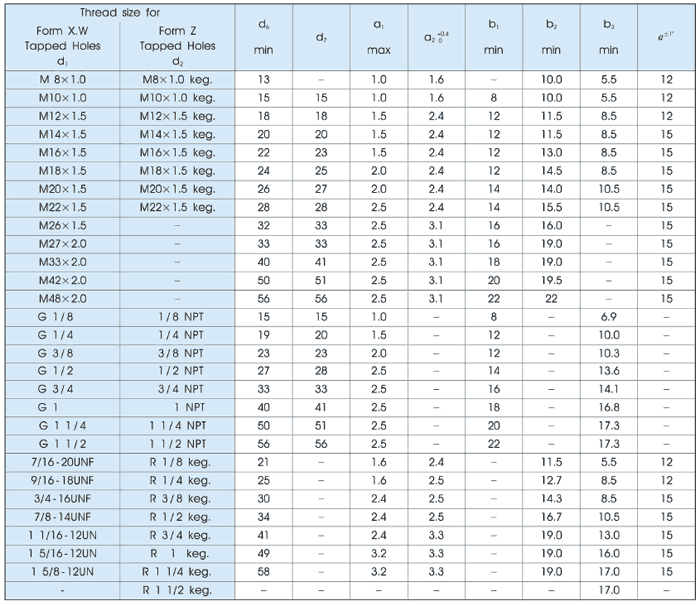 the table below showns the Nm value for studs with metal seal, form B, DIN 3852 or with captive sealing (ED-Ring) to avoid leakings. Taper threads are not self-sealing. To achieve a leakproof seals, an additional sealant is necessary. The quoted figures relate to fittings out of steel (galvanizes) and to counter parts made of steel. ( ) * These figured relate to studs with captive sealingED-Ring. For the Male/Female adapters(MFAS/MFAE), there apply the tightening torques for series "S".